Why are my ears clogged ? See all avaiable remedies for clogged ears. It is not uncommon that patients who suffer from a clogged nose also develop clogged ears. Why??? There are 2 major and 1 minor reasons. First a little anatomy lesson. There are many things you can take to fight a sinus infection. Apart from antibiotics, there are others as well namely antihistamines, decongestants, leokitrienes, mucolytics, nasal saline irrigation and steam inhalation as well as steroids. 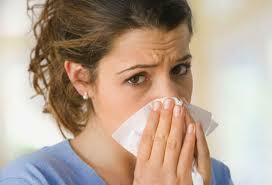 Antihistamines are recommended if the doctor has determined that your sinus infection is caused by an allergy. Majority of them do not have to be prescribed by a doctor so you can easily get this off the counter. The only limitation with antihistamines is the side effects. Those who take it will usually feel groggy or sleepy while some may experience dryness. To counter this, decongestants are added to the ingredients of the antihistamine like those normally found on those that are prescribed by the doctor. Then there are decongestants. These are also available over the counter and in prescription form. These are designed to relieve congestion, nasal pressure and nasal swelling by reducing the blood flow to the membranes that in turn will improve air flow, lessen breathing through the mouth, decrease pressure in the sinus and head as well as ease discomfort. The one thing it cannot do is relieve a runny nose. Sadly, it also has side effects such as increased blood pressure and heart rate which means patients who have high blood pressure or heart problems have to consult a doctor before taking them. Leokotrienes are anti-inflammatory prescription drugs that are used to prevent inflammation in the airway and sinus cavities. It has been proven useful in helping patients who have sinus infections due to asthma. The side effects associated with this drug include dryness of the nasal passages, headaches, bleeding, crusting, upset stomach and skin rashes. The doctor may also recommend the use of mucolytics. This is also used in treating cough because it destroys or dissolves mucus which makes it difficult for the person to breathe. These are available in tablet or liquid form. You can also inhale it when this is placed inside a nebulizer. This is usually given in high dosages as this is the only way to achieve easier drainage. Once this is done, it will be easy for the body to expel through coughing. If not, this has to be done with the help of suction. Your doctor may also recommend nasal saline irrigation and steam inhalation. This is the only one that does not have any side effects. It is safe and non-addictive. This works almost immediately especially when what you are dealing with is indeed a viral infection so you can stop using it after 3 to 5 days. Steroids are also used to get rid of sinus infections. In fact, there are two kinds and the one used for inflammatory conditions are known as glucocorticosteroids. This can be administered orally, applied to the skin or by injection. The side effects associated with it include increased appetite, weight gain, upset stomach, increase blood sugar and blood pressure, sleep disturbance, mood swings as well as fluid retention. These gradually disappear of course once you stop taking it. As you can see, there are other medications around that doctors can use to help you fight off your sinus infection. They will have to determine first what is causing it rather than through trial and error because this can lead to complications and you surely don’t want that to happen to you. For majority of the people who are suffering from sinusitis is the most problem huge pain in their nose. There are more issues apart from the pain: reduced energy levels, mental block, problems with sleep, bad breath. So, the main question is how to get sinus relief. But, before give explanation of this, you will need first to understand what sinusitis is. We all experience plugged ears when flying, but to different degrees. For some, it can be very painful and the ears can stay plugged for weeks. This can be very problematic and many have to avoid flying altogether. I found this article that talks about flying and plugged ears. The author recommends a product that is easy to use and can help keep equalize the pressure in your ears and keep the Eustachian tube open.